(with double cd ‘Tales from the Black Meadow’). Chris Lambert has made a world. Like those of many a demiurge, his is more flawed than floored. Around the Black Meadow you are always in danger of having the earth, let alone the carpet, pulled from beneath your feet. There, it is far from easy to tell a divine spark from a black sphere. Tales from the Black Meadow is neatly framed, Machen-like, in their collection by a lay historian, the fictitious Roger Mullins. From the off we are somewhere unmapped between the realunreal and the unrealreal. Among the tales gathered by Mullins are those of bodies of fog and blackberry and rags, floating eyes, a psychic litter bin (a standing stone), boy to foal and vagabond to apple tree transformations, and a stepping stone that does what it says on the tin. Told in prose that sits somewhere between storytelling and antiquarianism, visceral dread slowly rises from its mustiness, catching the reader in complacency. Thinking you stand safely outside the mythology, you come to read: “[M]any of the tales of the Black Meadow try to explain how the world disappears from its borders... to the world it is the village that vanishes but this is of course a simple matter of perspective” and then you grasp that this pseudo-place’s perspective has quickly made a “simple matter” of you. Its floating eyes are in your head now. 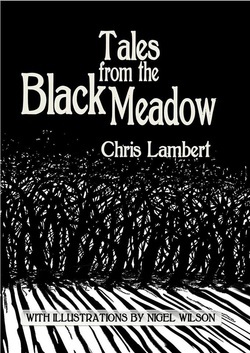 ‘Tales from the Black Meadow’, with its accompanying double cd (including a fine spoof Radio 4 documentary) sits well with similar recent cultural productions like the music of Belbury Poly, Emily Jones’s ‘The Book of the Lost’ album and the movie ‘The Paranormal Diaries: Clophill’ which is soon to spawn its own book by its writer Kevin Gates. They wed a Hammer-like sensibility for a polluted rurality to a pseudo-local history; wildly flagging their falseness they lure us pleasurably onto an ambiguous ground where the question of ground itself, frozen and vaporous, can be asked. The ‘land’ becomes an agent here; one with a “sacred relationship with those who toil upon it and those why live by it”, one who comes a-calling, who gives birth, who snarls at the door. “Will you take our hands in yours?